Is your People, your Team, your Culture. We understand that the best candidates will not only have the right skills, but be a great fit for your company too. We will help you attract the right talent for your business and save you money by partnering with you throughout the process. We will meet you and your Company. Gain a clear understanding of what you are looking for. Compile a target list of potential companies and individuals. Interview each candidate over the phone and in person. Following presentation of short list, we will arrange all interviews. Finding and recruiting high calibre Executives in today’s marketplace can be time-consuming and challenging. Our approach offers full transparency and communication with you throughout the search process, delivering your perfect candidate within the agreed timescales. Our team has longevity in the Yorkshire & Humberside region and experience fulfilling a wide variety of assignments. We are known for providing a professional and discerning service to Clients and interesting opportunities for Candidates. With well-connected Consultants who understand how your industry works, plus access to the largest database of candidates available, we can focus on providing you with a short list of high calibre candidates within a commercial time frame. Our new employee is showing great promise and we are delighted to have her in the team. We will definitely be asking Ben Johnson Recruitment to assist us with our next talent search. I know I can contact them at any time, and it will always be a first class service. 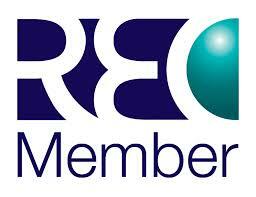 Ben Johnson Recruitment are a member of the Recruitment and Employment Confederation (REC). The REC represents businesses through its corporate membership and individuals through the Institute of Recruitment Professionals (IRP). All corporate members abide by a code of professional practice and individual members abide by a code of ethics and professional conduct.